If you've already applied to an MBA program you may be wondering if you should take the GMAT again so that you can send an updated (and hopefully better) score. However, if schools don't accept an updated GMAT score there's no point in retaking the GMAT. 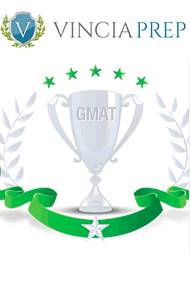 So to answer the question of whether or not schools accept updated GMAT scores I wrote some top schools, scoured the internet, and used the experience that I have gained by helping dozens of students get into MBA programs all over the world. And the answer is: it depends on the school but some schools will consider your updated GMAT score if you send it to them before they've had a chance to look at your application. Some other schools such as Harvard will take an updated GMAT score into consideration during the interview process. From my experience some schools even allow you to retake the GMAT and send them an updated score if that's the main problem in your application. This is especially true at schools that are not in the top 20 in the world and usually the school's admin will tell you directly that you should retake the test. Once your application has been submitted, you may not make changes or adjustments to the content. The Admissions Committee asks that you do not send additional material other than what is requested as part of the application. However, you may provide an update if you have a change in your employment status or position, if you completed a quantitative course and are providing the grade, or if your contact information has changed. Please send an email tombaadm@haas.berkeley.edu with the updated information. Harvard- Once the application has been submitted, the Admissions Board is unable to accept application updates other than contact updates. If invited to interview, applicants may inform the Board of updates at that time. To be included in a specific round, applications must be complete and submitted by 23:29 Central European Time (CET) on the day of deadline. A complete application includes the online form, GMAT or GRE score, all supporting documents, two letters of reference and payment of the application fees. If you submit your application or any of the supporting documents after the deadline, it will be reviewed for the next round or for the following intake (for last round applicants). If you retake the GMAT or GRE after the application deadline, we will not be able to consider your new scores in our evaluation. Wharton- All information, including supporting documentation, must arrive in our office by 5:00 p.m. ET on the deadline date for a given round for you to be considered for that round. Applications submitted after a deadline will automatically be considered in the next round. Here is I reply that a student I helped received from Oxford: "Unless the new official score is available when we process the application it cannot be considered. " While this looks negative it shows that if the official score got to Oxford before they looked at this student's profile they would take it into consideration.